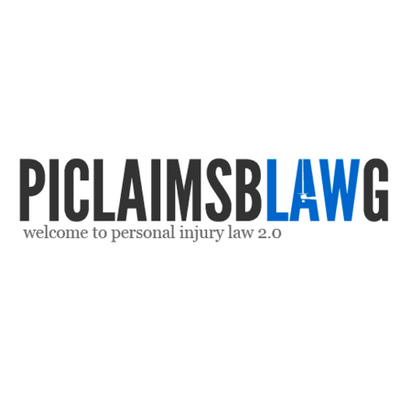 Involved in a Rideshare Accident (Taxi, Uber, Lyft) – Do You Need a Personal Injury Lawyer? The chances are that you have used or are using a rideshare app such as Uber or Lyft as a means of transportation. Thanks to its ease of use, reasonable pricing, and convenience, ridesharing has become the preferred means of traveling from one destination to another. Although its popularity continues to soar, there is no escaping the fact that rideshare drivers can cause accidents or unintentionally be on the receiving end of a fatal collision. There are plenty of horror stories involving taxi and rideshare drivers being responsible for injuries and death of both passengers and pedestrians. In 2013, a 6-year-old girl died in San Francisco when an Uber driver hit her, her younger brother and her mother. He didn’t have a passenger onboard, but the driver was logged in to the Uber X app to search for rides at the time of the incident. Uber eventually settled with the family for an undisclosed amount. Most passengers and pedestrians are unaware that rideshare companies, particularly Uber and Lyft, offer an insurance policy worth $1 million per accident. This policy, however, comes into effect only when a passenger accepts a trip and until the time he or she exits the vehicle. Therefore, if you have been injured by a taxi or rideshare vehicle as a pedestrian when there was no passenger inside the vehicle, then claiming money for medical expenses, lost wages and for the pain and suffering inflicted due to the accident might prove to be tricky. In such a situation, it is important to contact and hire the services of a competent and experienced personal injury lawyer. In addition to the rideshare company’s insurance policy, the driver also has his auto insurance policy. So the pertinent question here is: What should you do if you’ve been in an accident involving a rideshare driver? The most obvious first step is to seek medical assistance immediately, even if it seems like you did not suffer from any injury. This is because some wounds like internal bleeding are difficult to determine by an average person. Not only is seeking medical intervention important for your health, but many rideshare and insurance companies aim to minimize paying expenses and damages. If you do not seek immediate medical assistance, they could argue that your injuries were not severe enough to avoid being blamed for the accident or paying the injured party. Remember to hire a personal injury lawyer after seeking medical assistance and before contacting the rideshare company. No matter what, an attorney must be present whenever your contact or meet a representative of the insurance and rideshare company. Also, do not delay taking action. Hiring a personal injury lawyer and going to a hospital to tend to injuries is essential because the more you delay it, the more the rideshare company will argue that the wounds were not serious. And that would result in less blame being placed on the guilty party. Even in hit and run cases, it is crucial to call for medical help and talk to a personal injury lawyer before giving a statement to the insurance company. In 2014, there were 4,129 car accidents involving taxis in Chicago. Out of this number, a staggering 830 of them resulted in injuries. Tragically, three of the 830 accidents proved to be fatal. A slew of injuries can be caused by taxis such as broken bones, whiplash, internal bleeding and even death. Not only do these accidents inflict significant physical, psychological and emotional injuries, but they also result in substantial medical expense, lost wages because of taking medical leave and funeral expenses (in case of death). Moreover, loss of a loved one leads to ample pain for the family members. If you’re using a rideshare app or taxi, be aware of what you should do in case of an accident. Ensure that you contact a law firm or attorney that specializes in personal injury, insurance claims, and accidents. It’s always better to be safe than sorry. Scott Blumenshine’s expertise is based on years of experience representing people in personal injury and underinsured and uninsured motorist claims, arguing the facts and law in court, writing on the subject and presenting materials at continuing education seminars. Scott has been practicing law in Chicago for over 20 years and is currently a managing partner at the Blumenshine Law Group. You can learn more at https://www.blumenshinelawgroup.com. 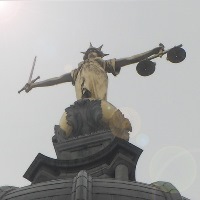 Next post: What is the time limit for bringing a personal injury claim in England?